Book Bingo Twenty-two – a prize winning book, a book by someone over sixty, and a book with a yellow cover. With 2018 rushing towards its busy, and warm conclusion, and in consultation with my fellow book bingo players, I have assigned some previously read books to the following categories, and have assigned my prize-winning category is taken up this time by 2007 Aurealis Best Children’s Book winning series, The Chain of Charms by Kate Forsyth, and have utilised other books in different squares from last time for others this time. Row three across and row five down are my bingo rows this time around! Last time, Australia Day by Melanie Cheng slotted into the short story square, and yet this time, it fits into the yellow cover category this time. A series of short stories about life in Australia, and the varying experiences within society, aiming to capture the breadth of society and the different ways people react to, and deal with how they are perceived, and what is expected from the Australian experience, or perhaps in some cases, Melanie plays on the conflict between what is expected and who her characters are – varying between race, gender, class and sexuality to try and give a well-thought look at how Australia and Australia Day, isn’t the same for everyone, whatever their identity, and that it never will be. By revealing uncomfortable truths about Australian society in a way many people can relate to and understand. Another book I recycled this time was Miss Lily’s Lovely Ladies by Jackie French – which fitted into the over 500-page square last time. This time, it fits into a book by someone over sixty – I did this again to make it easier filling the remaining categories with books I am in the middle of, and some I am yet to find. A historical fiction novel set during World War One, Sophie is sent to London to a school to learn how to be a lady – yet it is much more than that – she learns the ways of spying and using her feminine ways to find out about the war, and eventually, play a part in the war on the front line, in a time when the world is in tatters, and where men and women are dying everyday as battles rage across Europe, leaving Sophie’s home relatively untouched by the guns of war. Jackie French has been writing for all age groups for many years, and has been a favourite of mine since I was thirteen, and read Somewhere Around the Corner, which I still have my shelf. Another good book that fit more than one square. The series follows Luka and Emilia during the final days of a tyrannical reign during the time of Oliver Cromwell, trying to track down charms from each Roma family in the south regions of England, to reunite them and their families to bring back their good luck and fortune, and also, help stop the violence growing around them, and release their families from prison. It is a charming tail about friendship, and family, tying in historical fact and belief to create a world that children and any other readers can escape to. 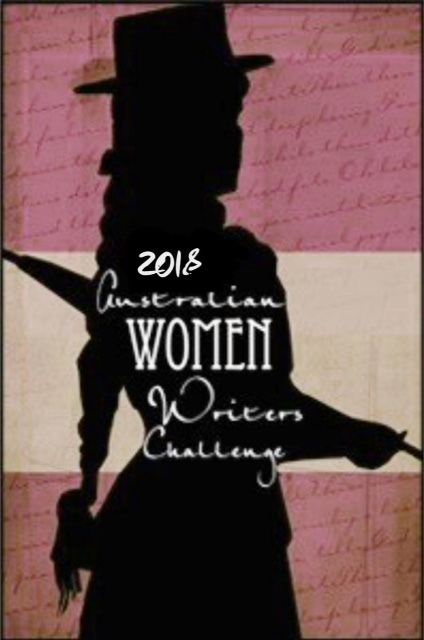 Again, all my books are by Australian Women Writers. My aim was for each to be a unique book, but as I am cutting it fine, I’m not sure that will happen, so recycling will happen at times. Onto my next Book Bingo in two weeks time!